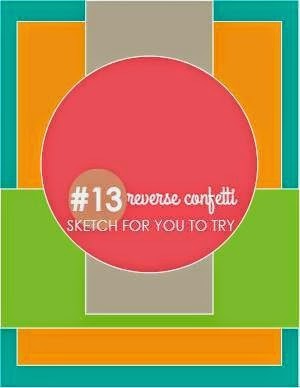 The 1st of June and time for this month's Reverse Confetti Sketch For You To Try! This is my second month as the Reverse Confetti Fetti Friend and today I am playing along with the Confetti Crew with the new sketch. 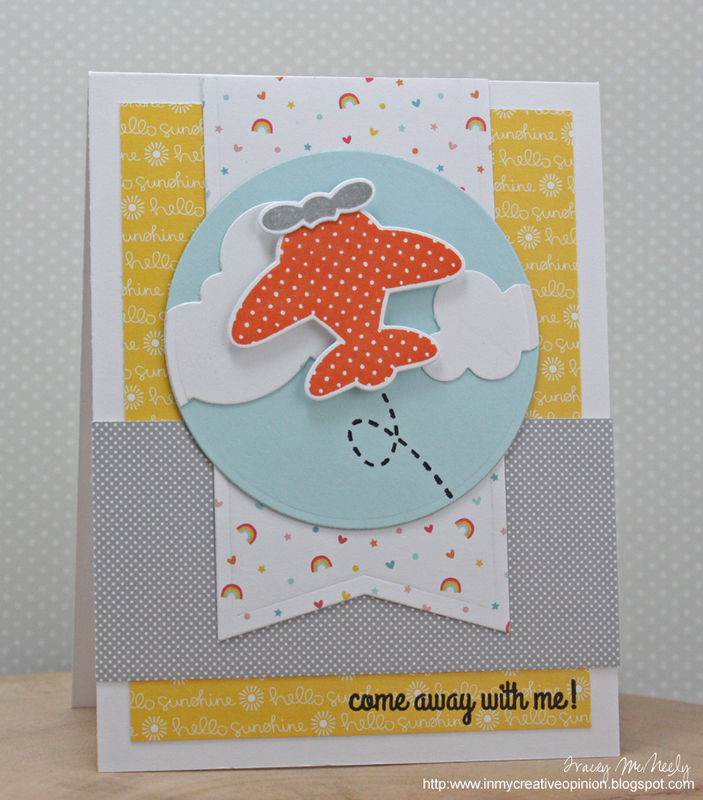 I used "Here We Go" from the new release in May to create a scene using the adorable airplane stamp and dies paired with some fresh summertime fresh papers. Absolutely adorable Tracey...those papers are so perfect with the sweet stamps! Oh this is so sweet. Love those dies! 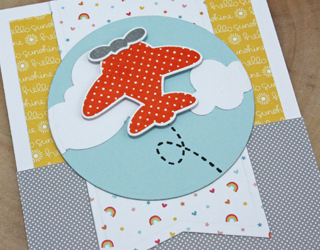 Love your sweet card and that airplane! This is so sweet Tracey! Love the colors too! love that little rainbow paper!! 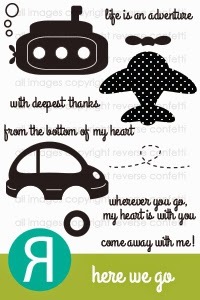 Really, really cute and creative card, Tracey - love that trail line! Adorable! 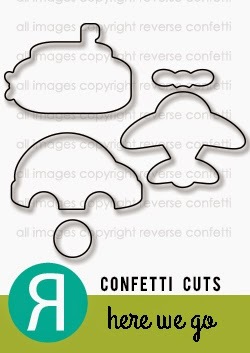 Love those diecuts, and great design. LOVE!!! The rainbow paper banner is a perfect backer for this sweet scene. My favorite card of the challenge! Gorgeous cards - and oh by the way... your layers are showing!! HAHA! Love it!! You're speaking my language girlfriend! Cute, cute, cute love all the mixed papers and that plane is adorable great take on this sketch! What a darling little airplane! Fun papers and sentiment, too! CUTE papers Tracey, this is an adorable card!! So, SO sweet! What a great mix of patterns! Oh, this is so very adorable. Perfect pairing of images, sentiment and papers. Super take on the sketch! OH MY Gooooooooooodness! This is adorable! I LOVE your papers and take on this sketch! It's perfect! Oh, I just love the airplane flying through the clouds, and the Lawn Fawn patterned papers are just perfect with your design, Tracey! Really cute card! This card is absolutely lovely!! !